The title of the serial was suggested to us by a request of a missionary friend of ours, who asked us if we could give him any connected account of the South Indian Devotional Writers, and we had to confess there was no such account, thought there were a host of such writers ancient and modern. Moreover, though we have preserved some of their writings, the accounts we possess of their lives are very meager indeed. However in this serial, we hope to collect such materials as are available and give such texts from their works which will illustrate their life, faith and philosophy. We would invite our friends to collaborate with us, and gather such materials as are available to them and contribute to this serial. We have numbered this paper as II, as the Life and Writings of the First Poet of the famous Third Sangam has already been summarized in these pages, and it will form the introductory paper of this series. We would suggest to our friends who would help us, to take up the authors of the ninth and eleventh Tirumurai to begin with, who are all very ancient writers and whose periods date from the first to the tenth century A.D.
Fortunately for us, the life and incidents of Karaikal Ammaiyar is given in the Periyapurana of St. Sekkilar; and we follow the account as far as it goes. In the famous seaport Town of Karaikal* [*This is now a French possession, and at some distance from Negapatam.] inhabited by merchants noted for their virtue and veracity and wealth, there lived once a merchant by the name of Dandatta. As the result of his great tapas, he was blessed with a daughter who was named Punitavadiyar (the immaculate). From her earliest years, she developed instinctively a love of God and was given to the study of religious literature and the service of God's devotees. After she attained her proper age, the parents were casting about for a suitable match, and they had an offer from the neighboring town of Negapatam. This was approved, and Punitavadiyar was married in great pomp to Paramadattan at Karaikal. The parents were not willing to part with their only daughter, and they assigned a separate house and large property to the son-in-law, who agreed to live in Karaikal. While so, one day, Paramadattan received a couple of mangoes from his friends, and he sent them on to his wife. At home, a devotee of the Lord came and asked for food. Punitavadiyar had only cooked rice, and the vegetables were not ready, but she remembered she had the mango fruits, and thinking that nothing was too precious to be bestowed on God's bhaktas, she served him with one of the two fruits, and appeased his hunger. The bhakta left, and later, the husband returned about noon from his business, bathed and sat down for dinner, and Punitavadiyar served him with the other mango fruit. He found it sweet and asked to be served with the other. She went inside as though to bring it, and felt distressed and prayed to God who always succors those who think on him forgetting their self, and lo! a mango was placed in her hands. She took it to her husband, who eating it, wondered and said that this fruit surpassed anything in the three worlds and asked her where she had got it. On hearing this she was unwilling to declare the truth, as she felt that the manifestations of God's mercy was not fit to be disclosed, and she felt at the same time, that it was not right to tell an untruth to her husband. She then related what had actually occurred Paramadattan did not feel convinced, and asked her to procure another such fruit, if what was obtained previously was by the Grace of God. She went aside and petitioned to God that if He did not grant her another fruit, her words would be found to be untrue, and another fruit was surely in her hands. She presented it to her husband, and it vanished from his hands the moment after he held it. He was at once struck with fear and trembling, and he felt that his wife was no ordinary woman and she must be divine and secretly determined to leave her at the earliest opportunity. With this object in view, he fitted up a ship for trading and took all his wealth in it and left abroad, and after exchanging his merchandise, he arrived at a port in the Pandyan Territory and settled there, and soon after married a suitable girl, and he got female child by her whom he named after Punitavadiyar. The relations of Punitavadiyar heard about his whereabouts in course of time, and they determined to take his first wife to him, and they did so carrying her in a palanquin, and arriving in Paramadattan' s town, sent word to him of their arrival and mission. Greatly perturbed, he however determined to face the matter and taking his wife and child approached Punitavadiyar' s presence and fell prostrate at her feet. The relations wondered and asked how he could worship his wife. Paramadattan related all that took place before and how he named his own daughter after her, and they should all worship her also. Our Lady then prayed to God that that being her husband's view, she could no more bear the flesh and the beauty of her person which was solely for her husband, and she should be given the form of a demoness (பேய்) who could stand by God ever in prayer. She shed her flesh at once and bearing the bones alone became a demoness, by the grace of God. The gods showered flowers and the music of the heavens sounded; Devas and Rishis burst forth in praise, and the relations and others who stood there fell at her feet and worshipped and left. Embed in their Love our Blissful One. Him will I prepare, eat and masticate. They roll in a world of their own, loving God, delighting in God, revelling in God, and rejoicing in God and really attain to Svaraj† [† Chandogya Up. VII, 7, 25, 2.] and not they who roll under the feet of their worldly rulers. They become mad of God and the world accounts them also mad. They become God-possessed and the world accounts them as Demon-possessed. Says Saint Tayumanavar. Do the great Jnanis behave, Oh Lord of Lords. And truly enough, as our mother, moved about in her Demoness-form, the world fled from her presence, but what did she rack how she appeared to the truth-less world if she was accepted by the Lord of the worlds. She proposed to visit Kailas and travelled through many regions and approaching the out-skirts of the silver mountain, she was afraid to walk with her feet and travelled on her head. From where our Parents (Bhuvanesa Pitaram) were seated, our Mother Uma observed the lady and wondered what great love should have been possessed by her who was approaching on her head and with the bare bones for the body. Our Lord said that this mother was His devotee and had obtained this form purposely. And when she approached the Lord, He called out to her 'Mother' and she fell prostrate at His feet calling 'Father.' The poet exclaims here that the Lord uttered this one good word, so that the whole world may be saved. But how many do really understand all that is implied in this one word! all that love, and loving sacrifice and the love that finds no fault and bear all faults, that love that would save from all harm and would redeem from all sin, that Love in fact that is more typical of Divinity than humanity. Is not all this synonymous with this one word 'mother'? And when the prodigal son returns and is received into the bosom of the mother, the response 'mother!' how much does it not imply. It is the acknowledgement of this all-love, and one's own worthlessness and sense of joy and bliss which this acknowledgement brings about! She rose up and when asked what special prayer she had, she said she desired undying love, and deathlessness, and if she should be born, she should never forget Him, and she should ever dwell under His Dancing Foot ever singing His praise. The Lord granted her prayer and told her she would see His Ananda Tandava at Tiruvalankadu. She accordingly retraced her way to Tiruvalankadu in the same way, and sojourned there singing many Hymns, waiting for the day when God would fulfil her wish. She sang her last hymn and she saw the Lord's Dance and she was taken under His anklet-sounding Foot, with her own song ringing in the ear of the Lord. Such is the narrative as given by Sekkilar and it is replete with many lessons. It teaches us many domestic virtues, and above all that the worship of the flesh and beauty is of no use; and even if the world should reject us for our faith in God, this is alone what would land us in everlasting Bliss. We give below a selection from her verses, which would show their worth and beauty. My love to Thee increased, I reached Thy foot. When wilt Thou rid me of my pain? Adorned with skulls and who midst fire doth dance. And to none else my service shall be due. Will rid us sure of our mortal sorrow. They are pleased to declare, I will let them do. Dwells in my heart I do declare. Let me be merged e'er in such Truth. My heart rejoiced. What is then rare to me? We have crossed without doubt. Hara who stands as the old world's First cause. This Earth and Akas and effulgent sun. And the Intelligence that transcends all. In that same form and figure He shows grace. Like my poor self, It is easy to find. They ask. To them what reply shall I give? Which is Thy form, what is It, Oh my Lord! The bowman strong whom Arjuna met. Oh my dear! This is my sole desire. Is this not what makes His devotee proud? We conquered death. We lost our hold on Hell. Who with fiery dart the Triple forts did shoot. How will the karmic darkness afflict? Desire Him Oh mind with True Love! 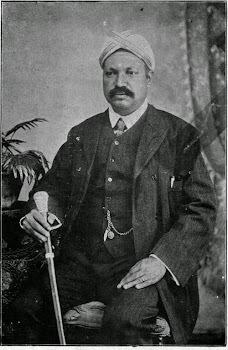 J. M. Nallasami Pillai, B.A., B.L.